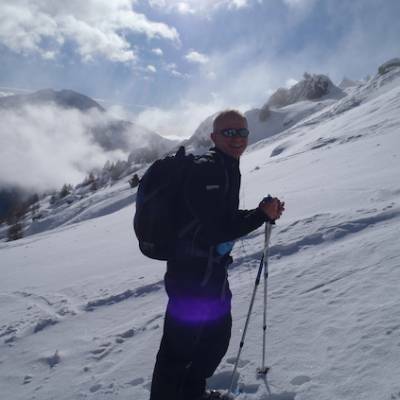 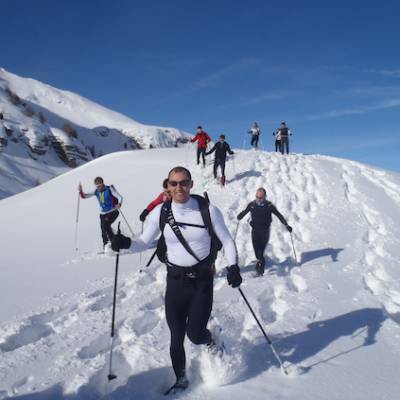 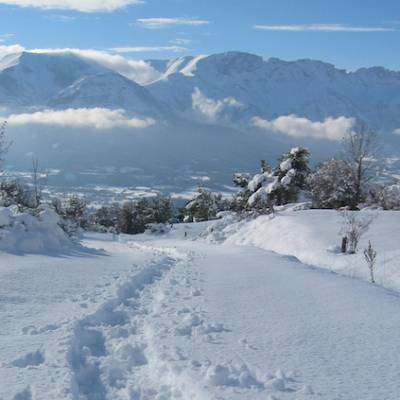 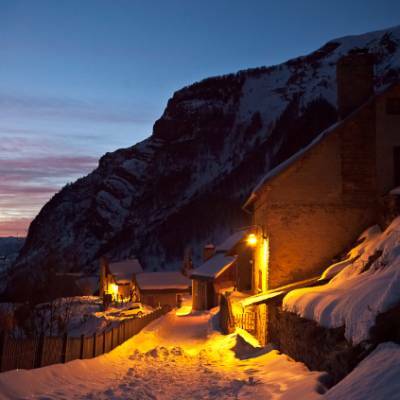 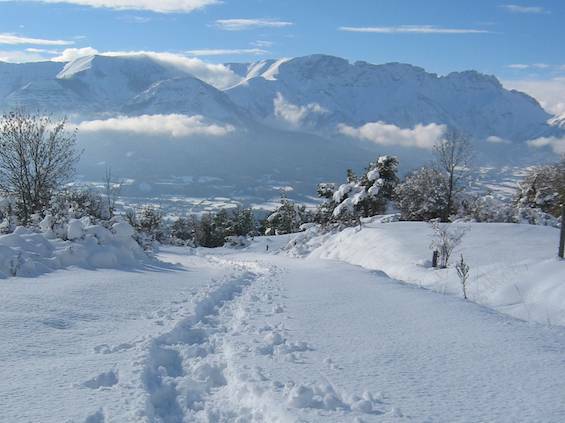 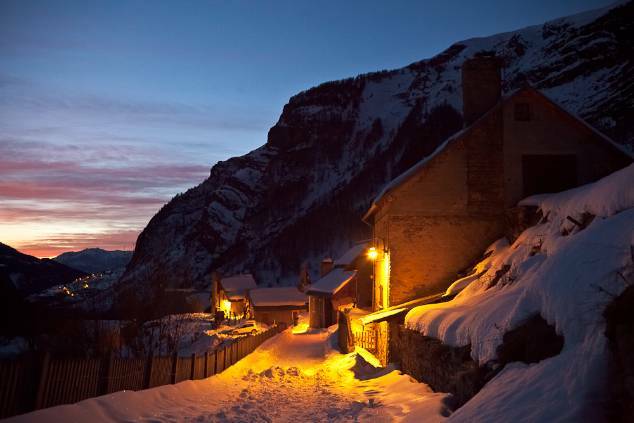 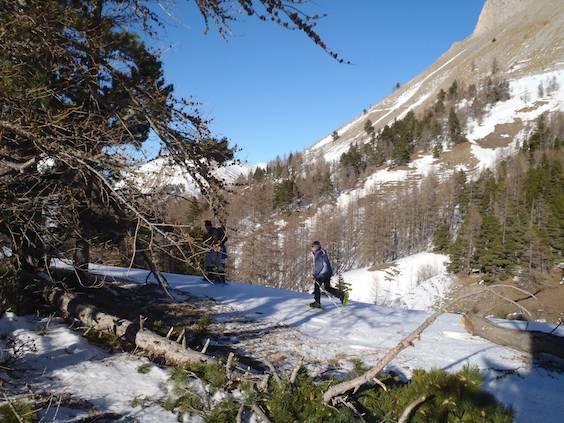 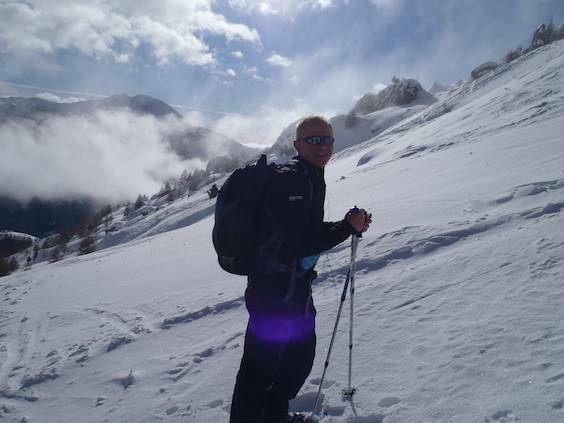 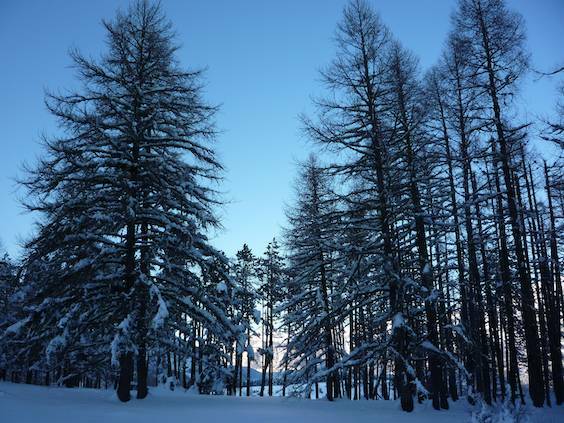 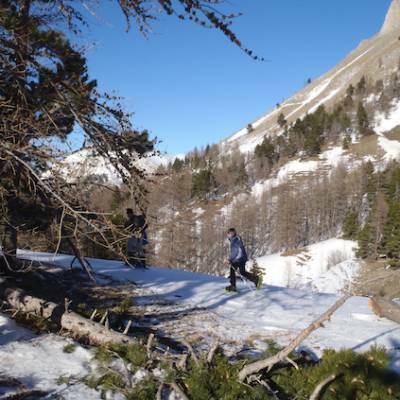 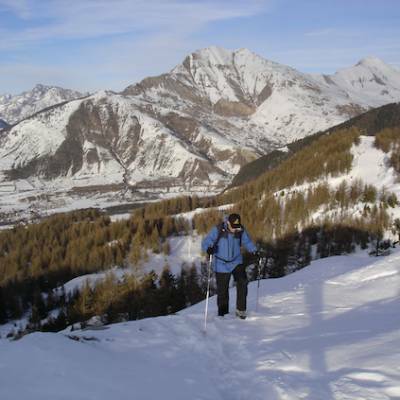 The mountains of the Southern French Alps in the winter are a truly spectacular sight and there is no better way to take in the views than on foot - well, on snow feet! 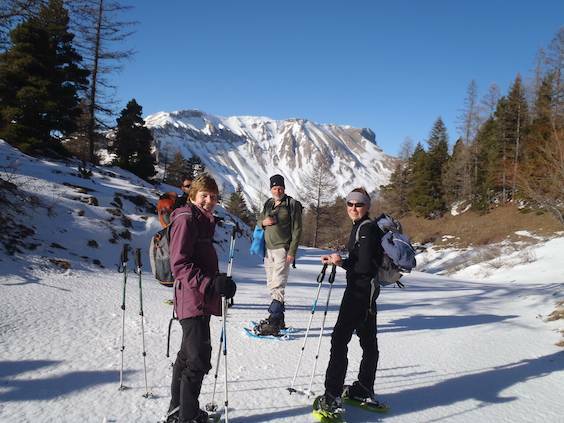 Snowshoeing has clearly become one of the most popular winter activities in the Alps, and it is easy to understand why! 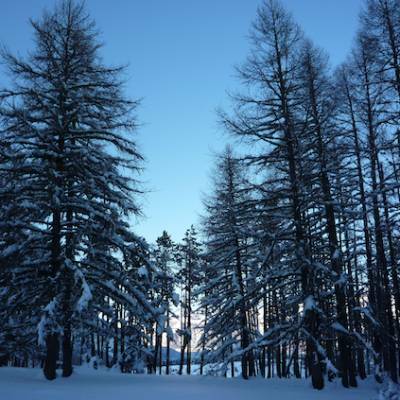 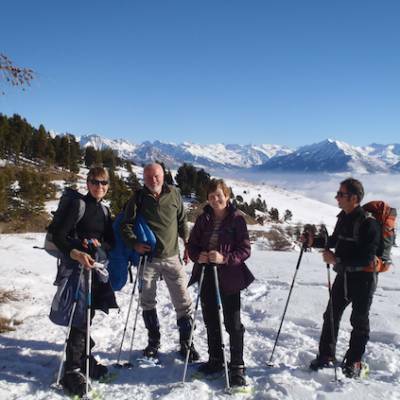 With pristine winter scenery, wolves, chamois, ibex, deer, and dozens of birds species in the Alps in winter, snowshoeing off the beaten track into the heart of the mountains is a dream come true for all nature lovers. 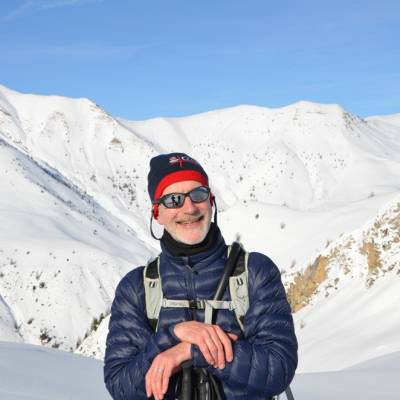 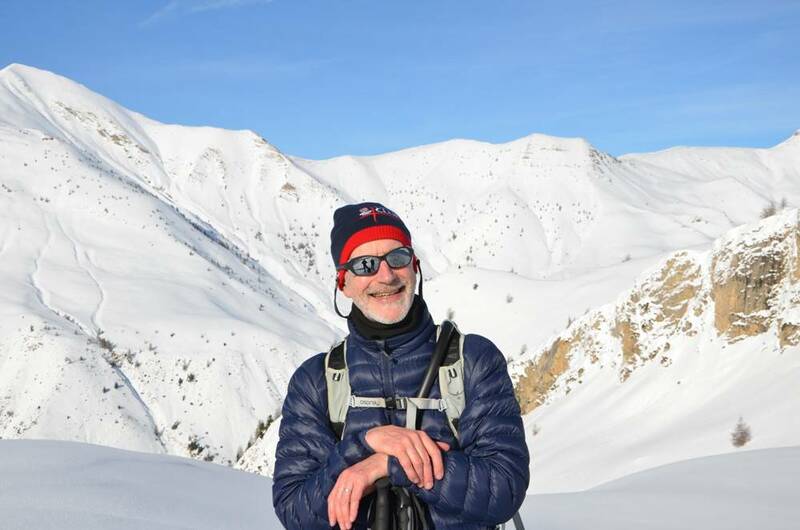 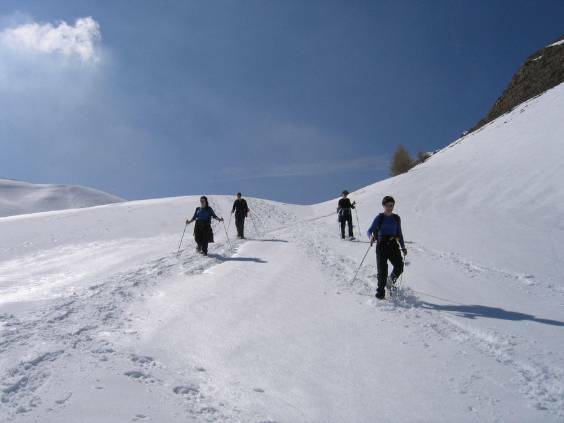 All the guides we use for snowshoeing are either "accompagnateurs en montagne" (equivalent to a British mountain leader) or UIAGM high mountain guides. 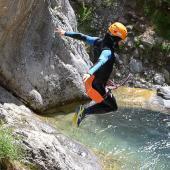 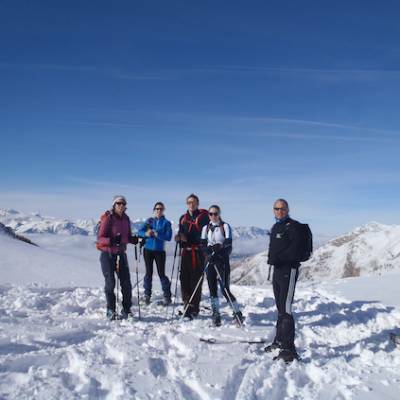 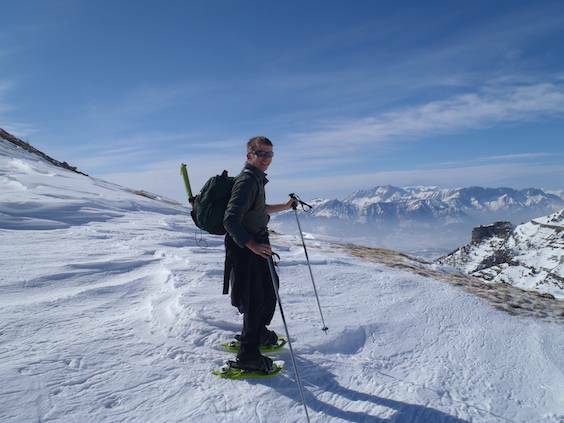 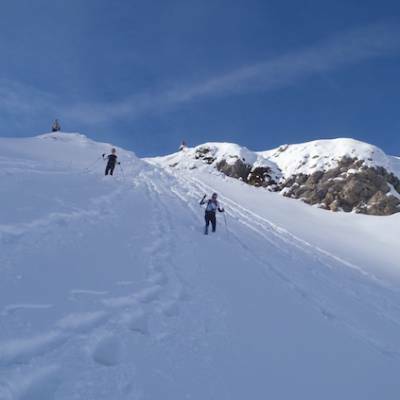 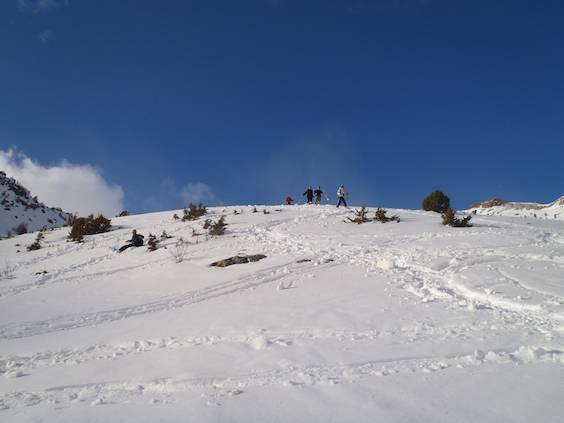 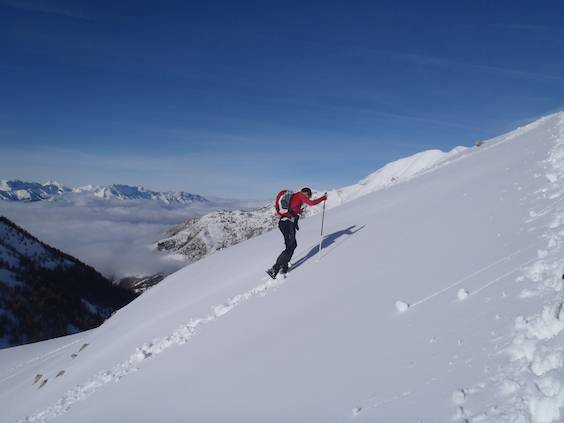 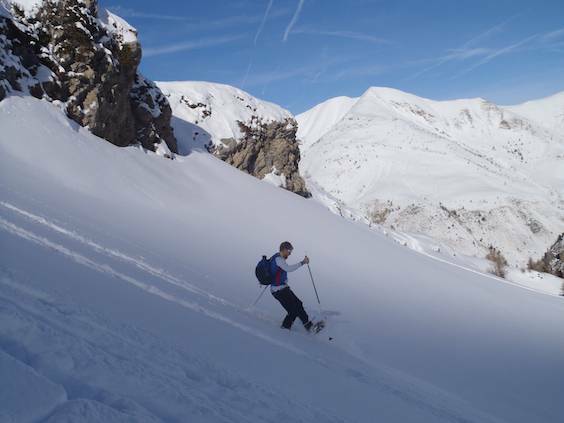 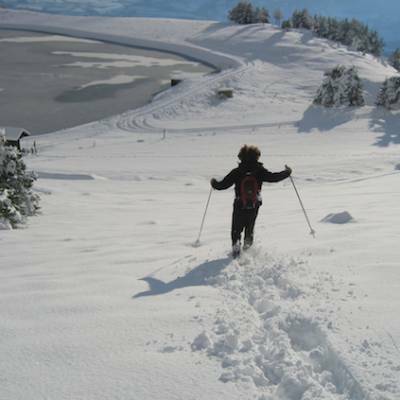 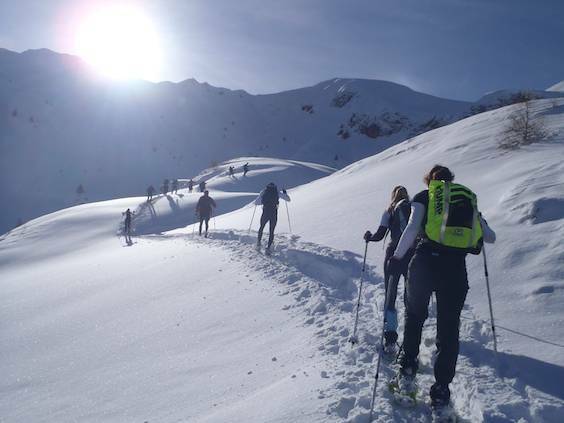 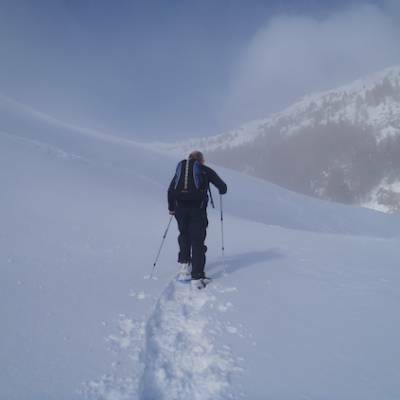 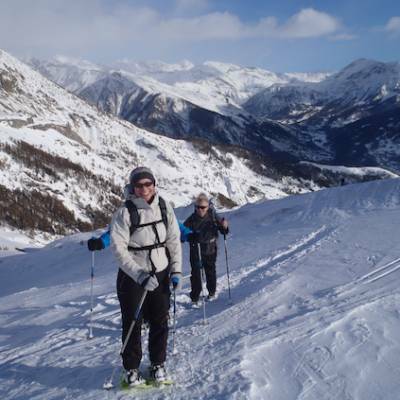 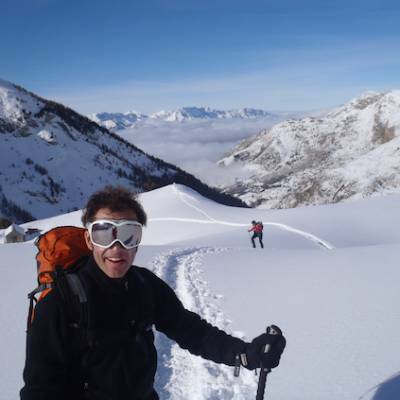 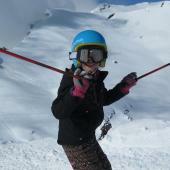 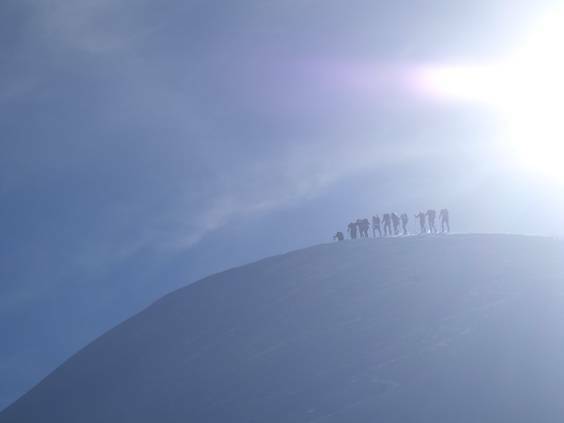 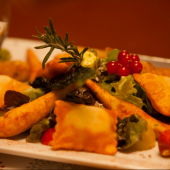 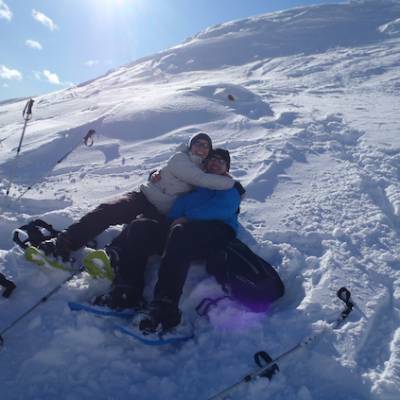 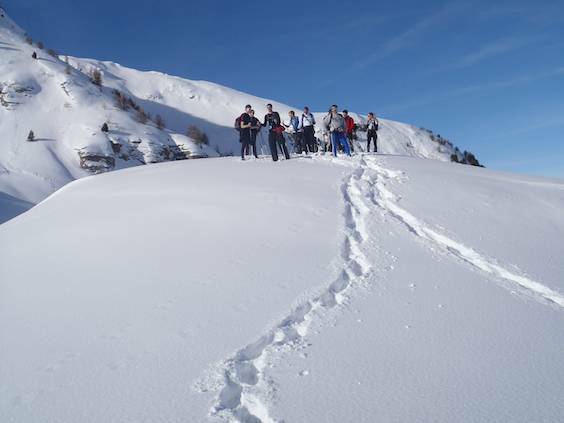 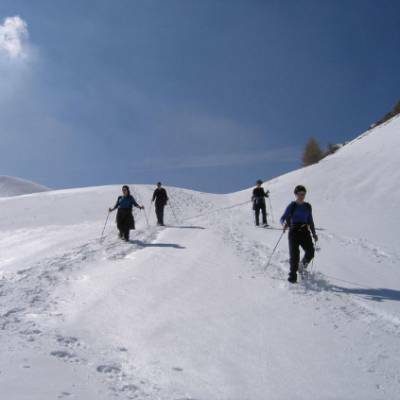 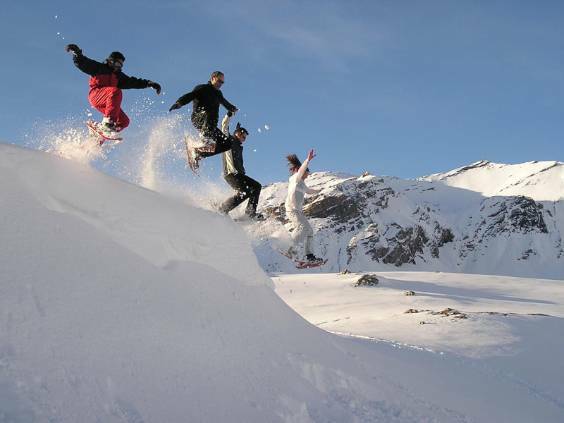 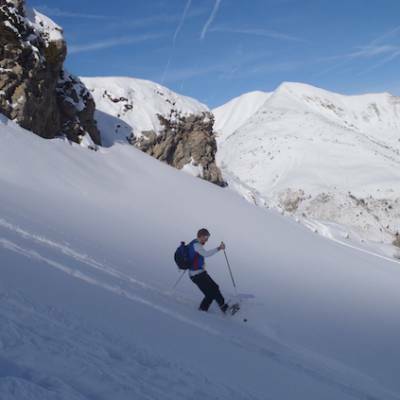 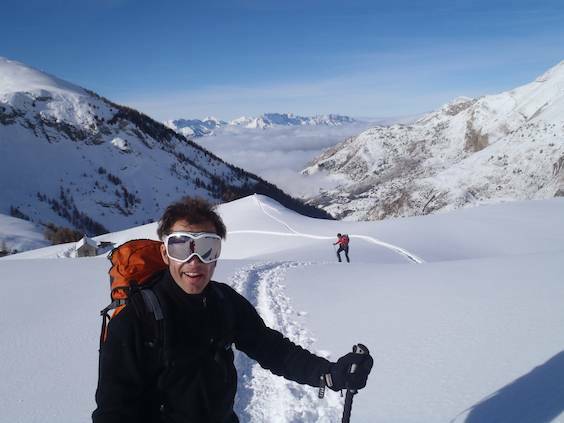 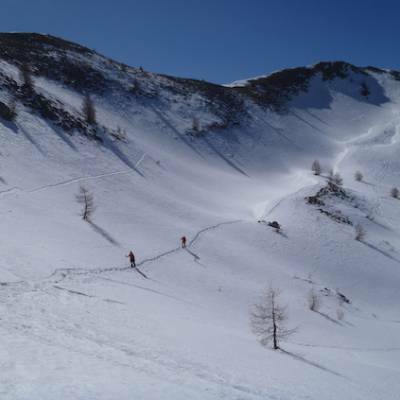 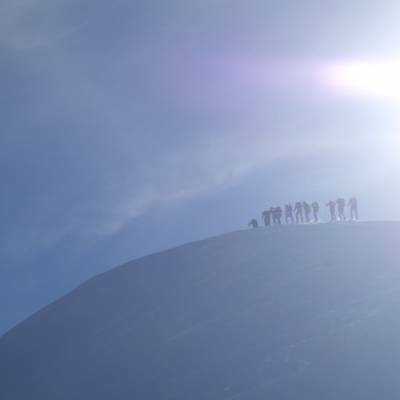 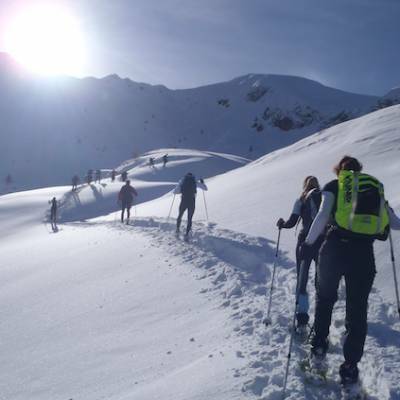 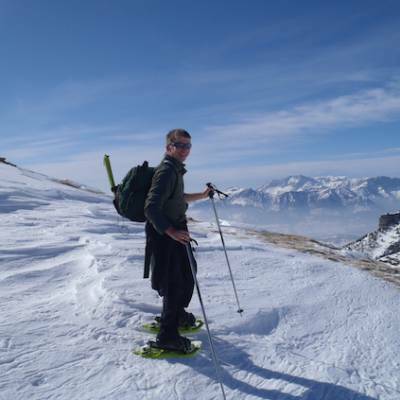 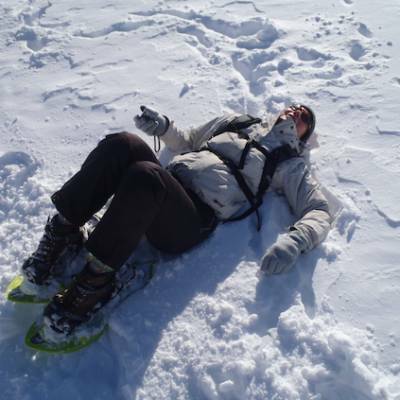 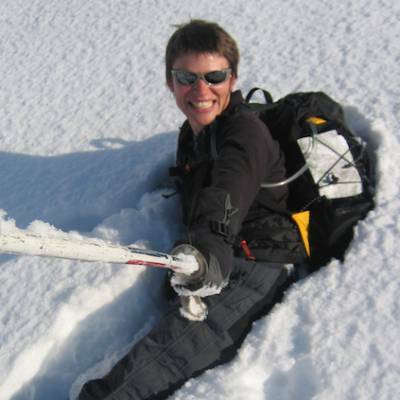 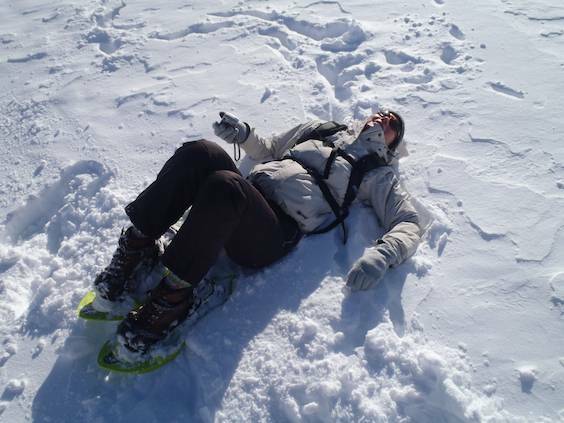 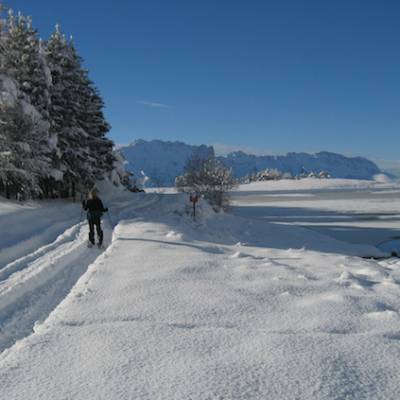 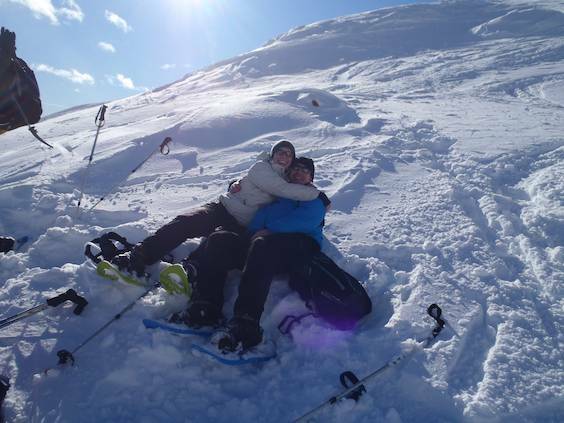 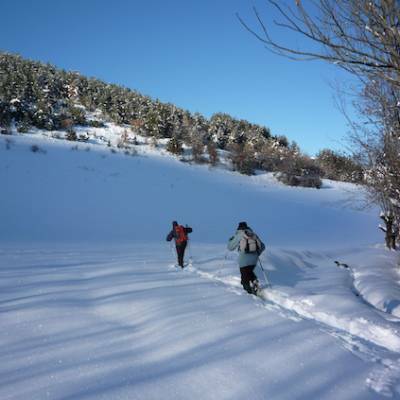 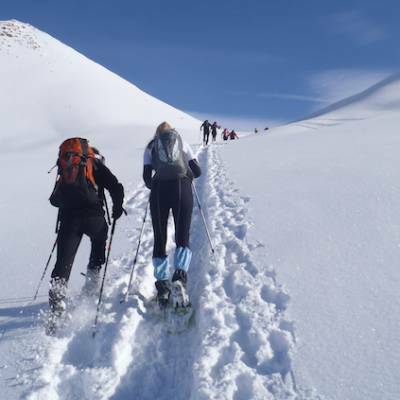 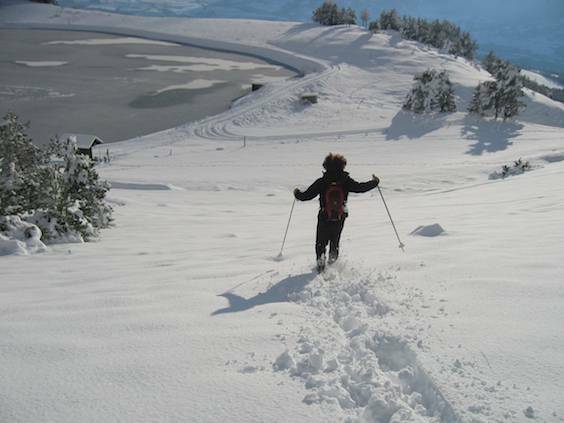 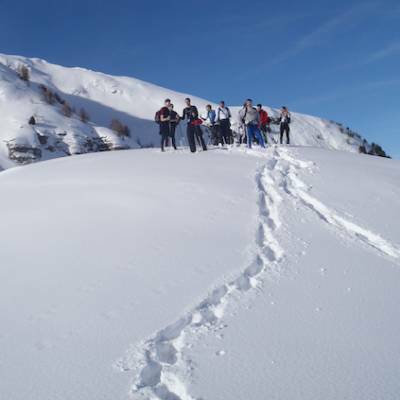 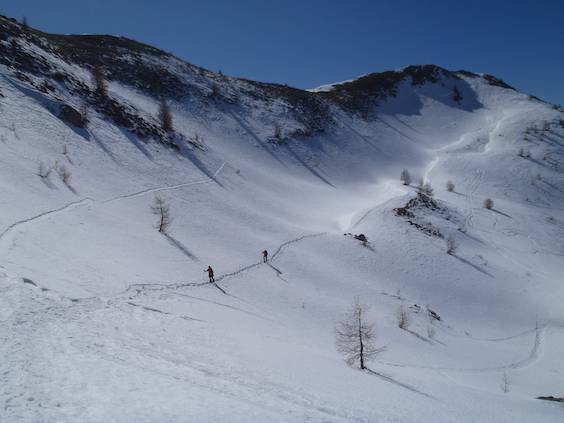 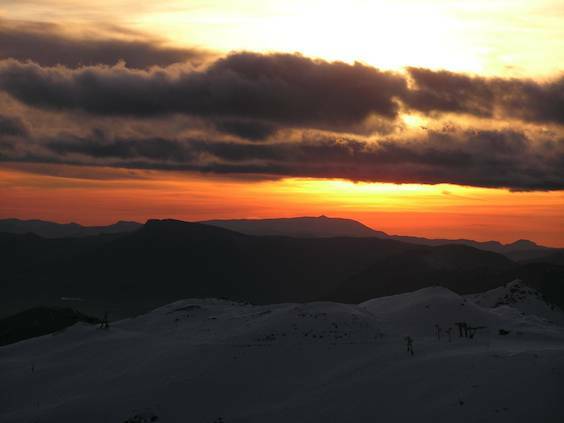 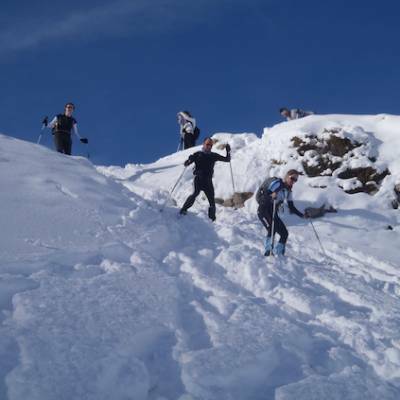 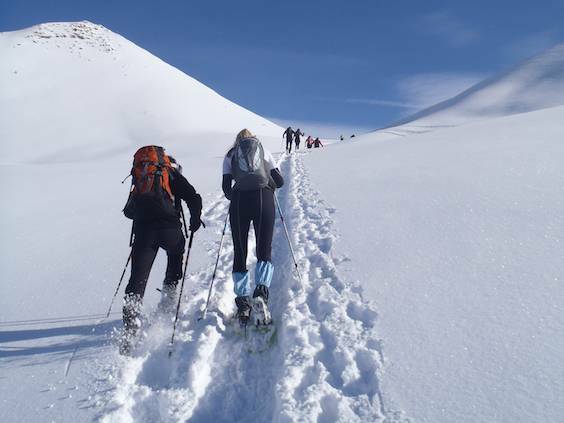 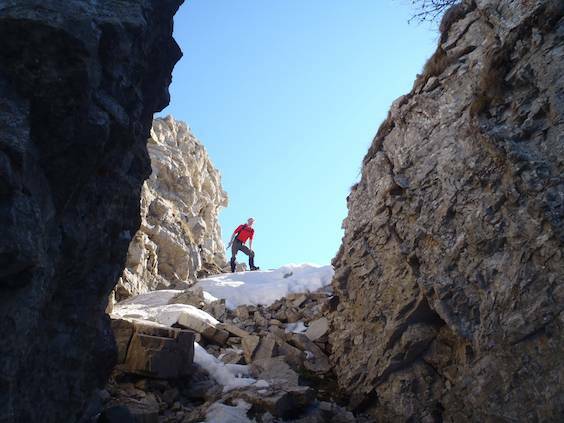 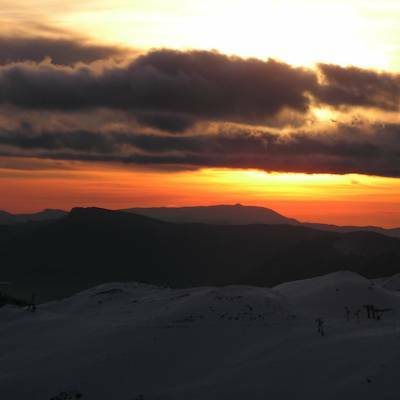 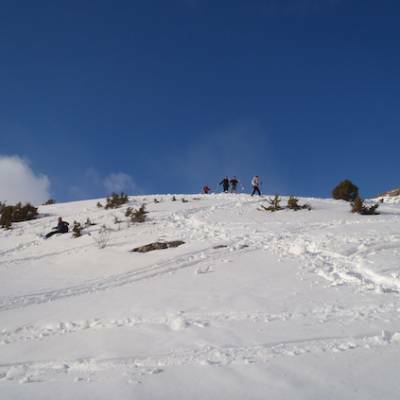 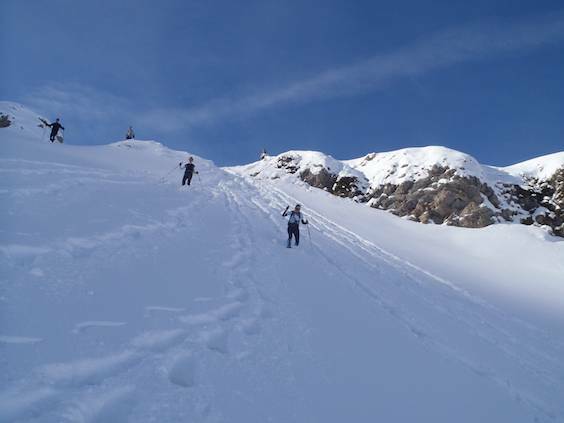 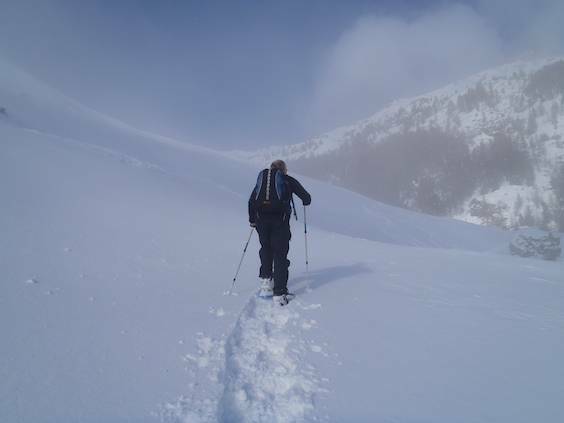 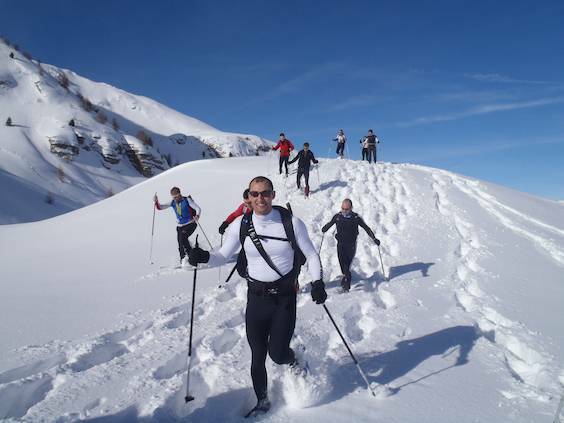 We choose the most suitable qualification for the type of snowshoeing you want to do. 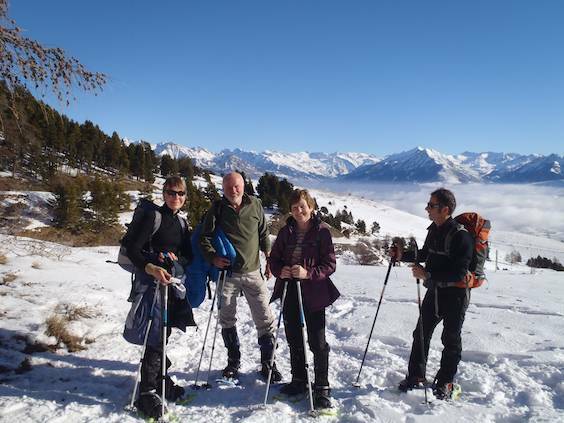 For valley walks, animal spotting or culturally themed snowshoe walks, we use local and experienced accompagnateurs with a passion for the local area, its culture and its wildlife. 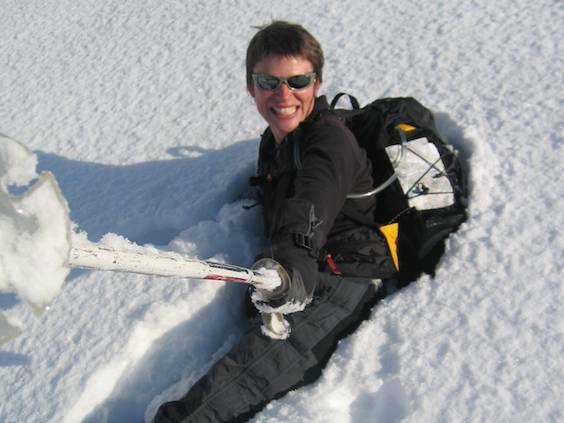 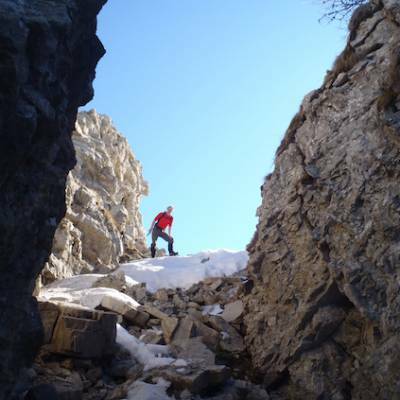 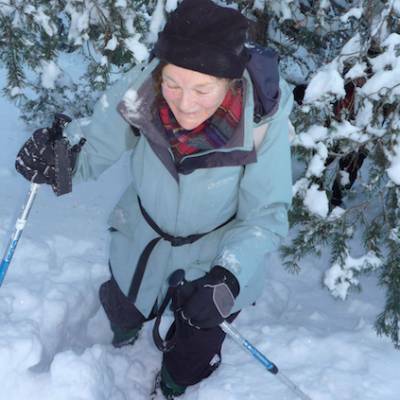 For snowshoeing trips and full days of snowshoeing, we tend to use high mountain guides. 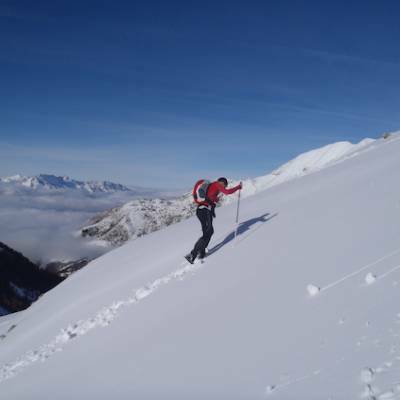 This is the highest guiding qualification in the mountains and although you won't be doing any mountaineering, the knowledge and expertise of a high mountain guide gives them the competence and flexibility to take you off piste and higher into the mountains off the beaten track. 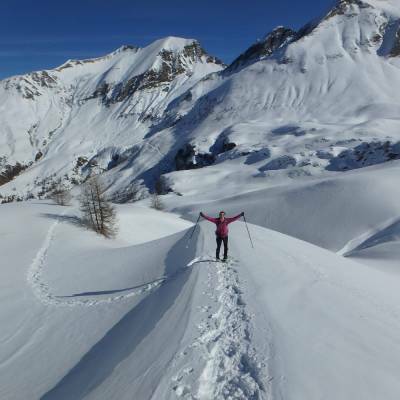 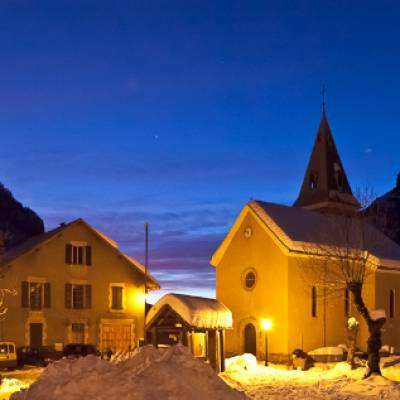 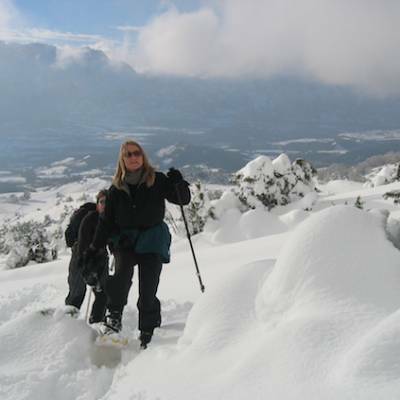 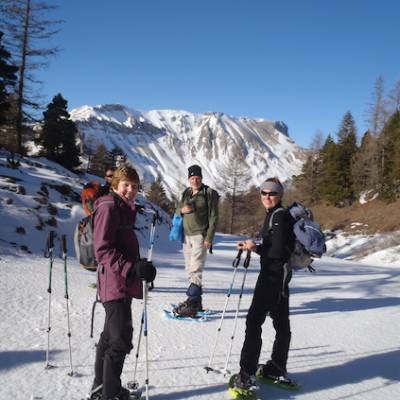 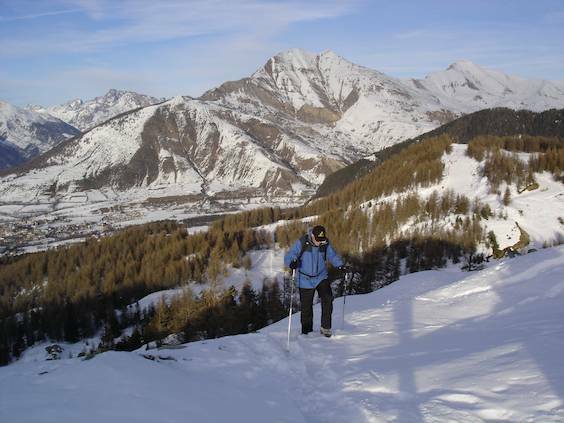 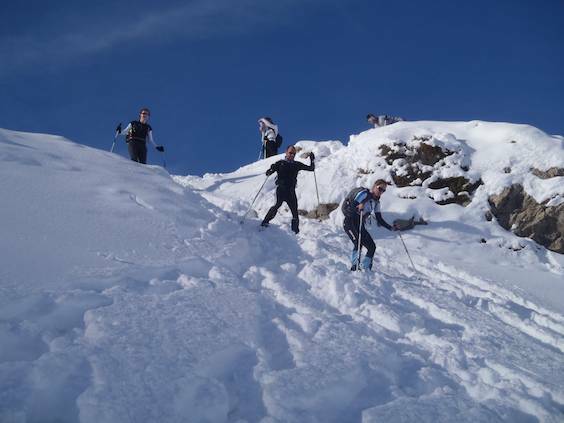 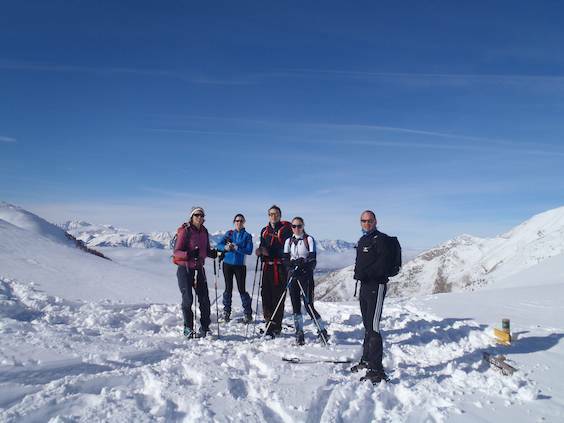 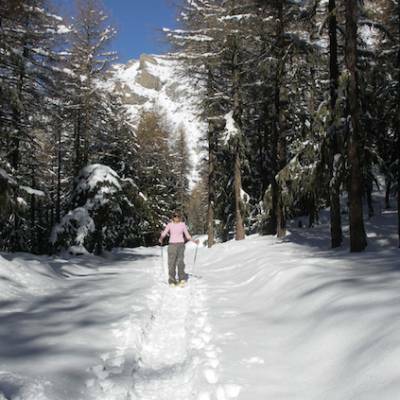 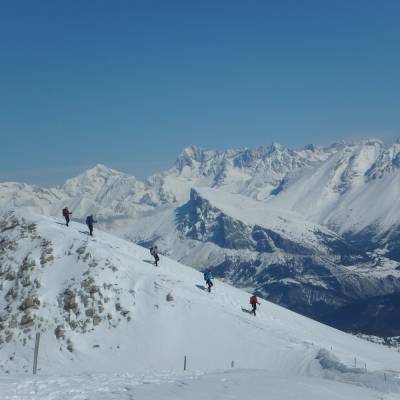 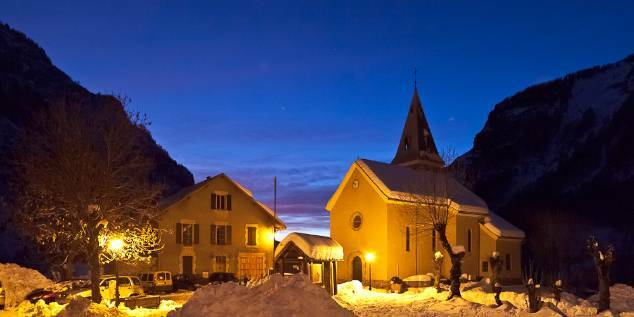 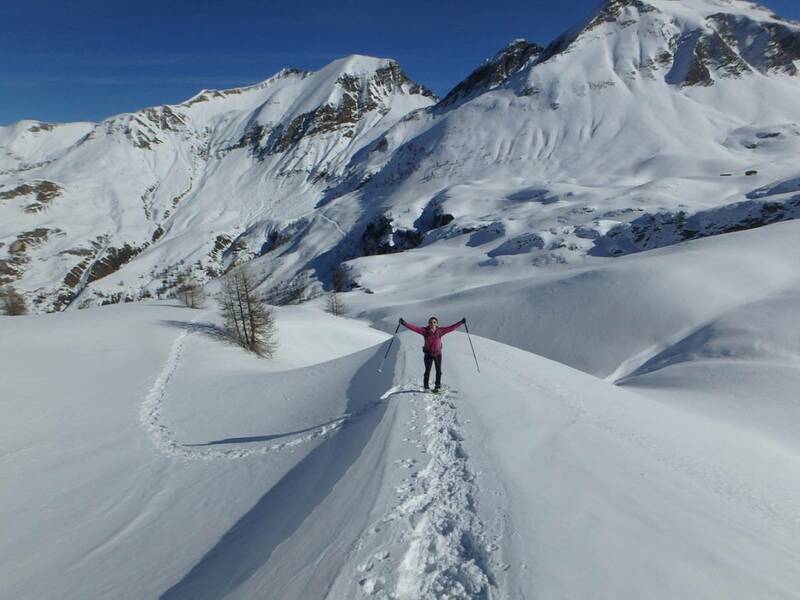 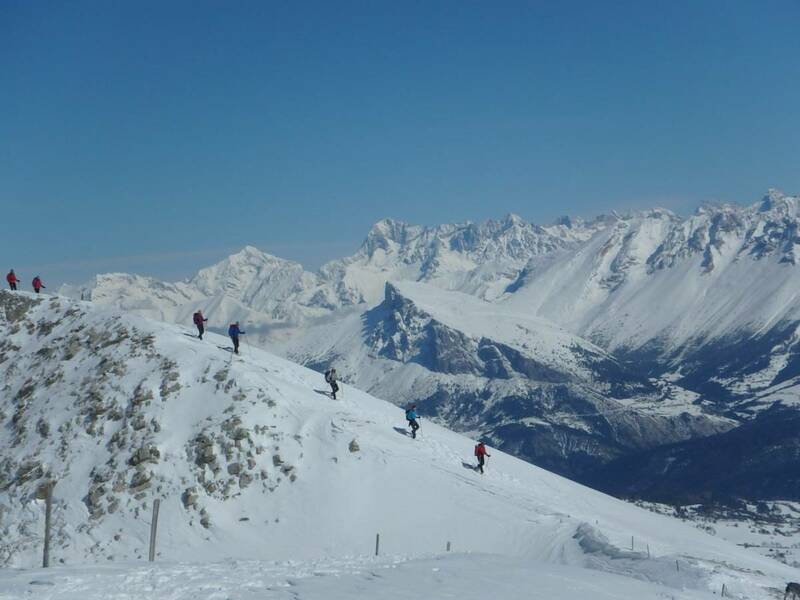 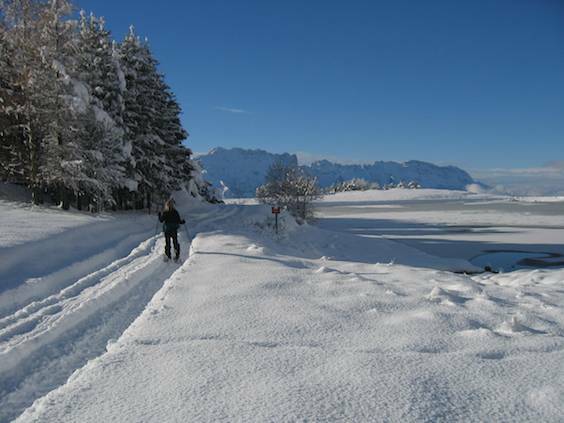 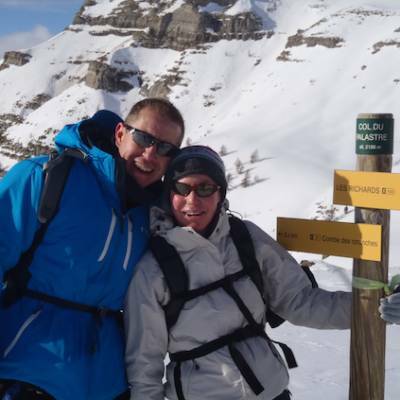 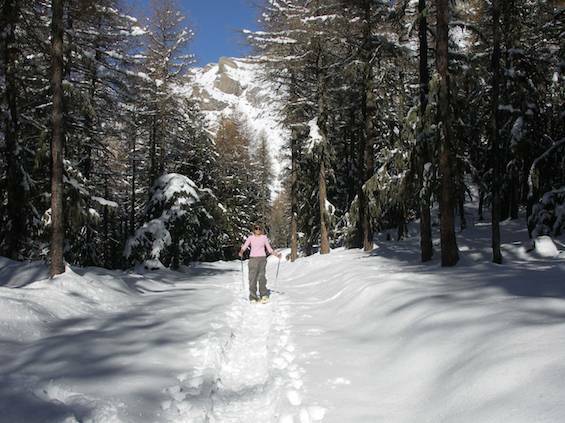 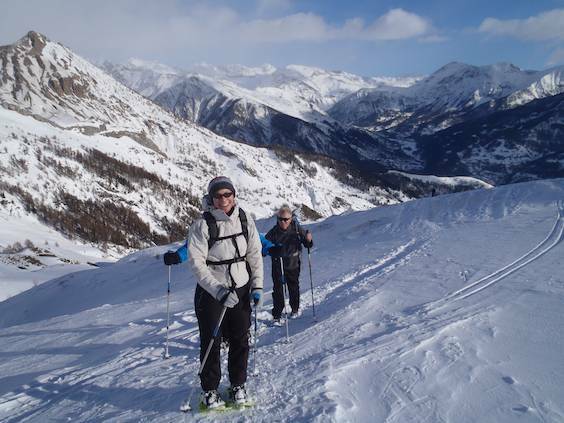 Have a look at all our snowshoeing holidays in the Alps. 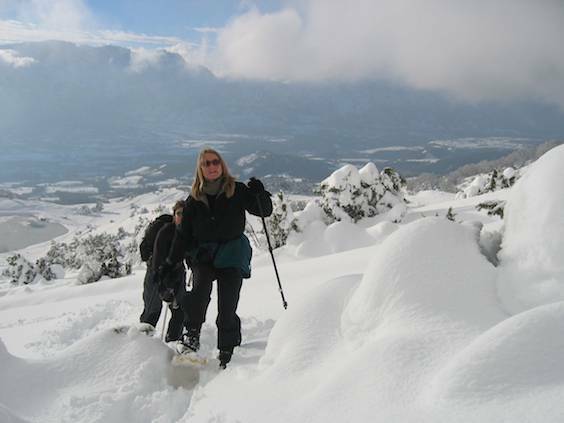 Who can go Snowshoeing in the Alps? 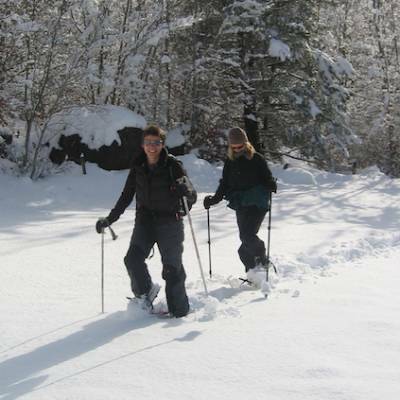 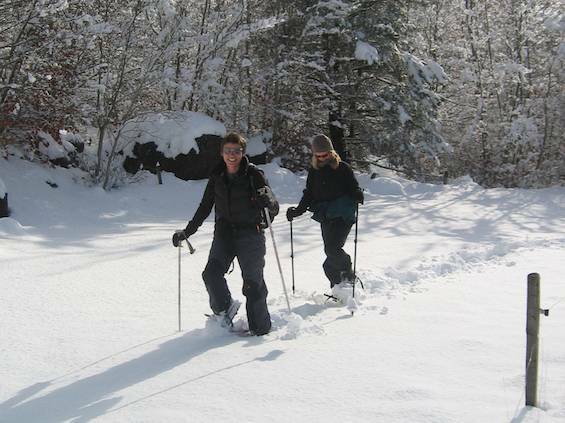 Snowshoeing is one of those great sports that is accessible to anyone who loves walking. 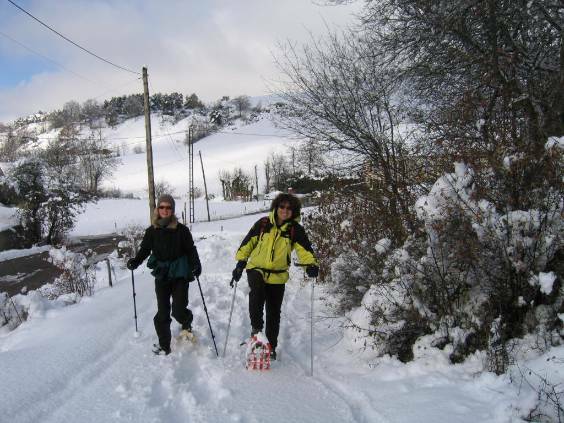 It is a little bit more physical than normal walking as you have extra weight on your feet and are lifting your knees higher up each step if the snow is deep but snowshoe walks can be adapted for all levels. 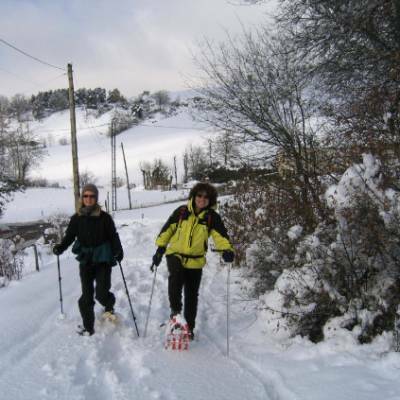 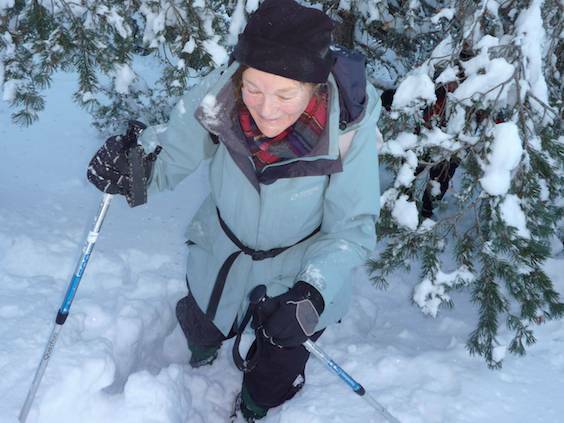 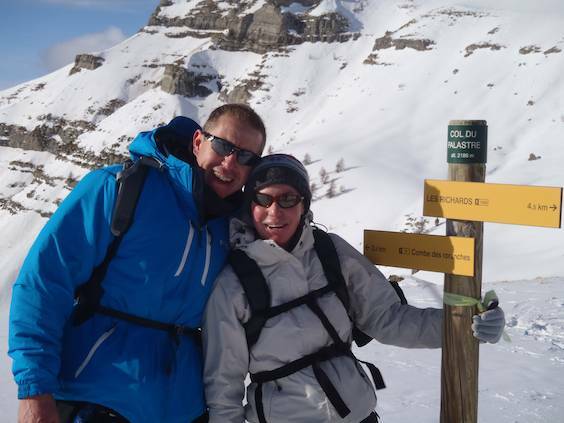 Hikers and Nordic walkers who already walk with poles will find snowshoeing the perfect winter alternative to Nordic walking and summer hiking and trekking. 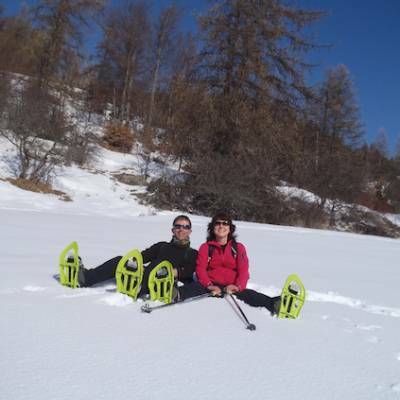 An easy way to discover the pristine winter wonderlands of the Alps - accessible and fun for all! 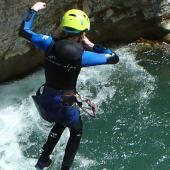 No previous experience is needed for this activity. 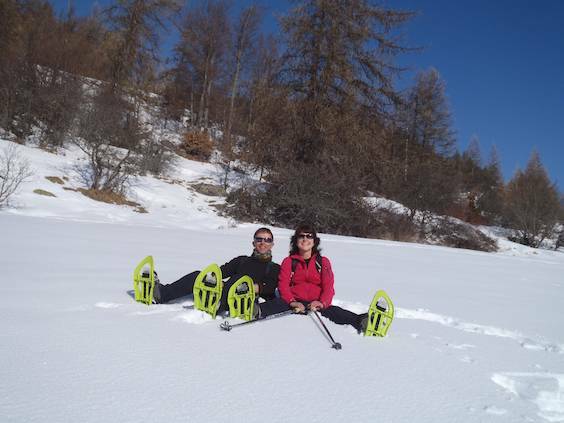 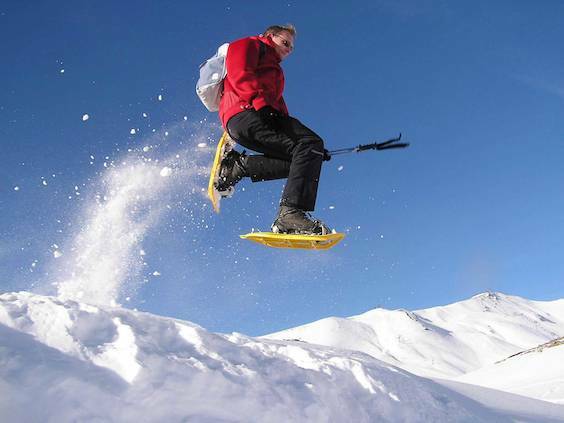 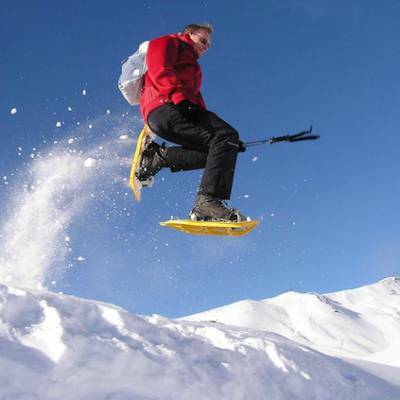 Anyone can have a go and you can snowshoe for as long or as short as you like. 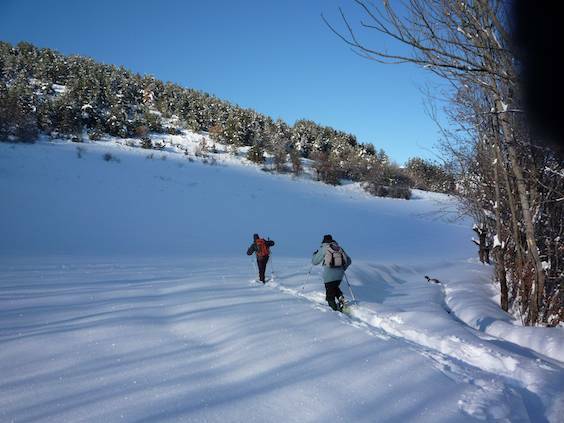 However, snowshoeing is more physically demanding than walking so choose a length of route well within your normal walking ability.